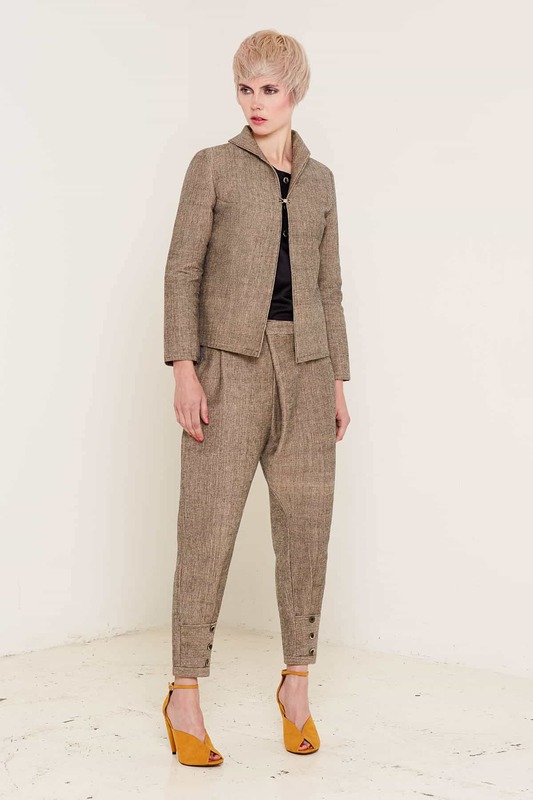 This elegant neutral coloured jacket is made from a heavy, high-quality texweave fabric and finished with subtle, stylish details that make it stand out from the crowd. The high collar is lined with a striking blue and violet vertical stripe, which can be turned down for a more formal look. The buttonless jacket is fastened with a beautiful clasp stitched into the breast of the jacket. Its slim sleeves and cropped cut make this jacket a great fit with smart, tailored trousers and soft, asymmetric shirts. 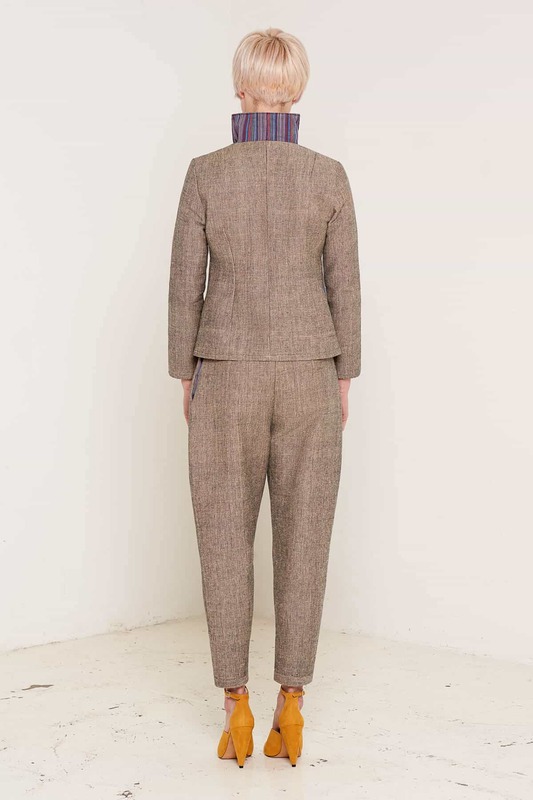 Pair it with the matching Mercy trousers to create a stylish, contemporary take on the traditional two-piece suit. We are passionate about creating clothing that is sustainable as well as stylish. The fabric is made on small power looms in Kerala, India. The jacket is vegan friendly, and is made with certified organic materials sourced from fair trade suppliers.